This Realtormag article points to more jobs and a strengthening economy as the reason a comeback is likely this Spring for first-time buyers. Sure, the severe weather experienced by much of the country had a hand in the tepid performance—an annual pace of just 4.8 million sales. But other factors, apart from the season, could be restricting home sales. First, buyers are not excited by their choices. Inventories are low and falling. The supply of homes fell in January for the second straight month on a year-over-year basis, after having risen for 16 straight months, and are far below what the market needs. Larger inventories not only help to motivate buyers, they also keep prices from rising too quickly. 12 months earlier, January’s closing activity clocked in markedly lower compared to the final months of 2014. But the news is not all grim. Demand for new construction is rising, and with it the need for workers. Homebuilders, who have been scrambling to find skilled laborers, may find a larger available pool as hard-hat workers leave the slowing oil drilling industry in favor of construction, which is experiencing wage hikes. As a result, we could see a 30 percent increase in new-home sales this year. Second, there could be a change in lifestyle as young adult households—millennials—settle in as renters. Does this generation prefer not to be tied down? It’s too early to tell. The home ownership rate—now at 64 percent —is at its lowest level in more than 20 years. This phenomenon may have little to do with lifestyle choices and more to do with economic realities. After all, the number of millennials—those in their 20s and early 30s—-living with their parents is at sky-high levels, and it’s doubtful that staying with mom and dad is their idea of freedom. More likely, they’ve felt -hampered trying to find stable, good-paying jobs, let alone obtain mortgage financing in today’s overly strict environment. But there are hopeful signs here as well. Jobs and wages are steadily improving. The mortgage credit box is opening up a bit. When you look at these trends along with the improving prospects for home construction amid a strengthening economy and continuing low interest rates, first-time buyers could be poised for a comeback in 2015. Overall, we could see a good year ahead. 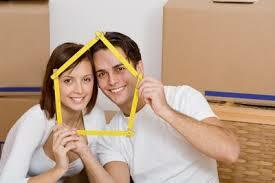 The formation of more new households is something parents, as well as their young adult children, can smile about. Push to Renew Mortgage Debt Forgiveness Gains Steam in Senate.